This is a simple statement of fact. But though Mr. Pound is well known, even having been the victim of interviews for Sunday papers, it does not follow that his work is thoroughly known. There are twenty people who have their opinion of him for every one who has read his writings with any care. Of those twenty, there will be some who are shocked, some who are ruffled, some who are irritated, and one or two whose sense of dignity is outraged. The twenty-first critic will probably be one who knows and admires some of the poems, but who either says: “Pound is primarily a scholar, a translator,” or “Pound’s early verse was beautiful; his later work shows nothing better than the itch for advertisement, a mischievous desire to be annoying, or a childish desire to be original.” There is a third type of reader, rare enough, who has perceived Mr. Pound for some years, who has followed his career intelligently, and who recognizes its consistency. This essay is not written for the first twenty critics of literature, nor for that rare twenty-second who has just been mentioned, but for the admirer of a poem here or there, whose appreciation is capable of yielding him a larger return. 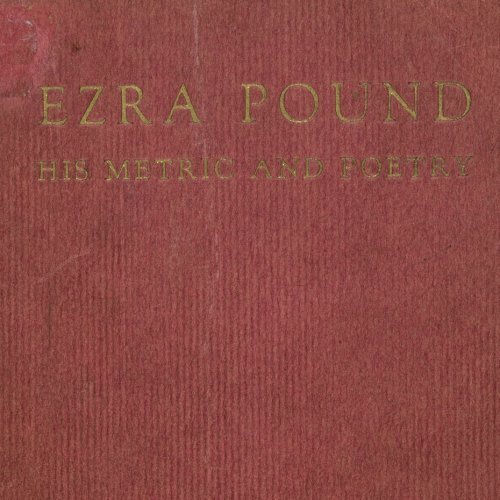 If the reader is already at the stage where he can maintain at once the two propositions, “Pound is merely a scholar” and “Pound is merely a yellow journalist,” or the other two propositions, “Pound is merely a technician” and “Pound is merely a prophet of chaos,” then there is very little hope. But there are readers of poetry who have not yet reached this hypertrophy of the logical faculty; their attention might be arrested, not by an outburst of praise, but by a simple statement. The present essay aims merely at such a statement. It is not intended to be either a biographical or a critical study. It will not dilate upon “beauties”; it is a summary account of ten years’ work in poetry. The citations from reviews will perhaps stimulate the reader to form his own opinion. We do not wish to form it for him. Nor shall we enter into other phases of Mr. Pound’s activity during this ten years; his writings and views on art and music; though these would take an important place in any comprehensive biography. to have a law and order of their own; the brute force of Mr. It is, in fact, just this adaptability of metre to mood, an adaptability due to an intensive study of metre, that constitutes an important element in Pound’s technique. Few readers were prepared to accept or follow the amount of erudition which entered into “Personae” and its close successor, “Exultations,” or to devote the care to reading them which they demand. It is here that many have been led astray. Pound is not one of those poets who make no demand of the reader; and the casual reader of verse, disconcerted by the difference between Pound’s poetry and that on which his taste has been trained, attributes his own difficulties to excessive scholarship on the part of the author. “This,” he will say of some of the poems in Provençal form or on Provençal subjects, “is archaeology; it requires knowledge on the part of its reader, and true poetry does not require such knowledge.” But to display knowledge is not the same thing as to expect it on the part of the reader; and of this sort of pedantry Pound is quite free. He is, it is true, one of the most learned of poets. In America he had taken up the study of Romance Languages with the intention of teaching. After work in Spain and Italy, after pursuing the Provençal verb from Milan to Freiburg, he deserted the thesis on Lope de Vega and the Ph.D. and the professorial chair, and elected to remain in Europe. Mr. Pound has spoken out his mind from time to time on the subject of scholarship in American universities, its deadness, its isolation from genuine appreciation, and the active creative life of literature. He has always been ready to battle against pedantry. As for his own learning, he has studied poetry carefully, and has made use of his study in his own verse. “Personae” and “Exultations” show his talent for turning his studies to account. He was supersaturated in Provençe; he had tramped over most of the country; and the life of the courts where the Troubadours thronged was part of his own life to him. Yet, though “Personae” and “Exultations” do exact something from the reader, they do not require a knowledge of Provençal or of Spanish or Italian. Very few people know the Arthurian legends well, or even Malory (if they did they might realize that the Idylls of the King are hardly more important than a parody, or a “Chaucer retold for Children”); but no one accuses Tennyson of needing footnotes, or of superciliousness toward the uninstructed. The difference is merely in what people are prepared for; most readers could no more relate the myth of Atys correctly than they could give a biography of Bertrand de Born. It is hardly too much to say that there is no poem in these volumes of Mr. Pound which needs fuller explanation than he gives himself. What the poems do require is a trained ear, or at least the willingness to be trained. For Browning, Mr. Pound has always professed strong admiration (see “Mesmerism” in “Personae”); there are traces of him in “Cino” and “Famam Librosque Cano,” in the same volume. But it is more profitable to comment upon the variety of metres and the original use of language. Though dark the way, a golden glamour falleth. Within the iambic limits, there are no two lines in the whole poem that have an identical rhythm. Before the time of its coming? I have quoted two verses to show the intricacy of the pattern. The Provençal canzon, like the Elizabethan lyric, was written for music. Mr. Pound has more recently insisted, in a series of articles on the work of Arnold Dolmetsch, in the “Egoist,” on the importance of a study of music for the poet. of Swinburne, or the mossiness of Mallarmé, Pound’s verse is always definite and concrete, because he has always a definite emotion behind it. Tuneful words, that I’ve essayed. Which my voice herward upraises. sung, and is not to be spoken. and the rest of that memorable Testament. The freedom of Pound’s verse is rather a state of tension due to constant opposition between free and strict. There are not, as a matter of fact, two kinds of verse, the strict and the free; there is only a mastery which comes of being so well trained that form is an instinct and can be adapted to the particular purpose in hand. of Cavalcanti, the heir of the Troubadours, the scholastic. of the library into the fresh air. In “Ripostes” there are traces of a different idiom. Superficially, the work may appear less important. The diction is more restrained, the flights shorter, the dexterity of technique is less arresting. By romantic readers the book would be considered less “passionate.” But there is a much more solid substratum to this book; there is more thought; greater depth, if less agitation on the surface. The effect of London is apparent; the author has become a critic of men, surveying them from a consistent and developed point of view; he is more formidable and disconcerting; in short, much more mature. That he abandons nothing of his technical skill is evident from the translation from the Anglo-Saxon, the “Seafarer.” It is not a slight achievement to have brought to life alliterative verse: perhaps the “Seafarer” is the only successful piece of alliterative verse ever written in modern English; alliterative verse which is not merely a clever tour de force, but which suggests the possibility of a new development of this form. Mr. Richard Aldington (whose own accomplishments as a writer of vers libre qualify him to speak) called the poem “unsurpassed and unsurpassable,” and a writer in the New Age (a literary organ which has always been strongly opposed to metrical innovations) called it “one of the finest literary works of art produced in England during the last ten years.” And the rough, stern beauty of the Anglo-Saxon, we may remark, is at the opposite pole from that of the Provençal and Italian poets to whom Pound had previously devoted his attention. But we can notice in “Ripostes” other evidences than of versatility only; certain poems show Mr. 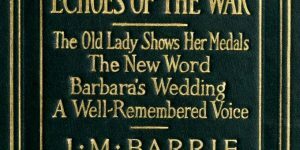 Pound turning to more modern subjects, as in the “Portrait d’une femme,” or the mordant epigram, “An Object.” Many readers are apt to confuse the maturing of personality with desiccation of the emotions. There is no desiccation in “Ripostes.” This should be evident to anyone who reads carefully such a poem as “A Girl.” We quote it entire without comment. palpitating works of the new Montana (U.S.A.) poet, Mr. The exaggeration of the importance of a personal emotion. The abandonment of all standards of form. is animated by any directing intelligence. everyday emotion of sloppiness and sentiment…. themselves written a notable work. what has already been done in good prose. the average piano teacher spends on the art of music. not seem to be unutterably dull. in the world has very little technical study behind it…. To be hanged for a cat and drowned for a rat is, perhaps, sufficient exculpation. Probably Mr. Pound has won odium not so much by his theories as by his unstinted praise of certain contemporary authors whose work he has liked. Such expressions of approval are usually taken as a grievance—much more so than any personal abuse, which is comparatively a compliment—by the writers who escape his mention. He does not say “A., B., and C. are bad poets or novelists,” but when he says “The work of X., Y., and Z. is in such and such respects the most important work in verse (or prose) since so and so,” then A., B., and C. are aggrieved. Also, Pound has frequently expressed disapproval of Milton and Wordsworth. After “Ripostes,” Mr. Pound’s idiom has advanced still farther. Inasmuch as “Cathay,” the volume of translations from the Chinese, appeared prior to “Lustra,” it is sometimes thought that his newer idiom is due to the Chinese influence. This is almost the reverse of the truth. The late Ernest Fenollosa left a quantity of manuscripts, including a great number of rough translations (literally exact) from the Chinese. After certain poems subsequently incorporated in “Lustra” had appeared in “Poetry,” Mrs. Fenollosa recognized that in Pound the Chinese manuscripts would find the interpreter whom her husband would have wished; she accordingly forwarded the papers for him to do as he liked with. It is thus due to Mrs. Fenollosa’s acumen that we have “Cathay”; it is not as a consequence of “Cathay” that we have “Lustra.” This fact must be borne in mind. It was a true insight to ally Pound to the Latin, not to the Greek poets. Go out and defy opinion. Go to the adolescent who are smothered in family. Pound’s qualities. Ovid, Catullus—he does not disown them. This is the proper approach to the poems at the beginning of “Lustra,” and to the short epigrams, which some readers find “pointless,” or certainly “not poetry.” They should read, then, the “Dance Figure,” or “Near Périgord,” and remember that all these poems come out of the same man. A broken bundle of mirrors…! Seen the long minarets, the white shafts. new breath these poems bring…. no means of judging—there is certainly a good deal of Mr. Pound in this little volume. Even since “Lustra,” Mr. Pound has moved again. This move is to the epic, of which three cantos appear in the American “Lustra” (they have already appeared in “Poetry”—Miss Monroe deserves great honour for her courage in printing an epic poem in this twentieth century—but the version in “Lustra” is revised and is improved by revision). We will leave it as a test: when anyone has studied Mr. Pound’s poems in chronological order, and has mastered “Lustra” and “Cathay,” he is prepared for the Cantos— but not till then. If the reader then fails to like them, he has probably omitted some step in his progress, and had better go back and retrace the journey. A LUME SPENTO (100 copies). Antonelli, Venice, June, 1908. A QUINZAINE FOR THIS YULE. First 100 printed by Pollock, London, December, 1908. PERSONAE. Mathews, London, Spring, 1909. EXULTATIONS. Mathews, London, Autumn, 1909. THE SPIRIT OF ROMANCE. Dent, London, 1910. “Exultations” with new poems). Small Maynard, Boston, 1910. THE SONNETS AND BALLATE OF GUIDO CAVALCANTI (translated). A cheaper edition of the same, Swift and Co., London, 1912. The bulk of this edition destroyed by fire. “A FEW DON’TS BY AN IMAGISTE,” in “Poetry,” for March, 1913. “CONTEMPORANIA” (poems), in “Poetry,” April, 1913. FIRST OF THE NOTES ON JAMES JOYCE, “Egoist,” January, 1914. Pound, published as a number of “The Glebe,” in New York. kind offices of John Cournos during the winter of 1912-13. 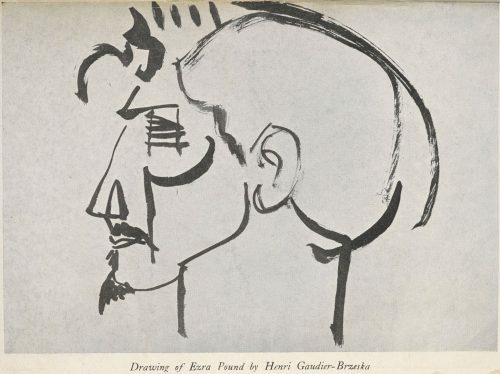 ARTICLE ON WYNDHAM LEWIS, “Egoist,” June 15, 1914. CONTRIBUTIONS TO FIRST NUMBER OF “Blast,” June 20, 1914. CONTRIBUTIONS to second number of “Blast,” 1915. GAUDIER-BRZESKA, a memoir. John Lane, London and New York, 1916. LUSTRA (poems) public edition, pp. 116. Mathews, London, 1916. 200 copies privately printed and numbered, pp. 124.
introduction by William Butler Yeats. Pound, with brief editorial note. Cuala Press, 1917.